The best salesmen in the world aren't salesmen at all. 4. Why they'll like you. In other words, they need to be sold on your service. One problem: you hate selling. This book is for you. You didn't start your business to be a slimy salesperson, and you don't need to feel like one. 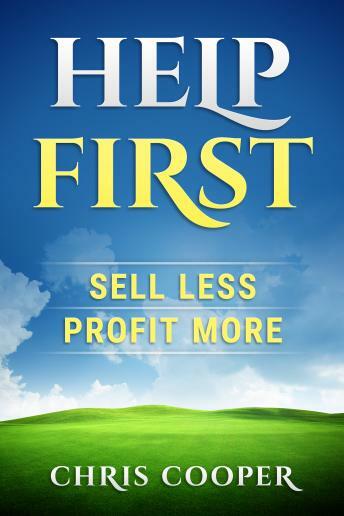 In "Help First," Chris Cooper explores the path toward growth, profitability and the NEW marketing that will let you feel good about selling yourself.